Automotive Cars - Caring for Old Car Radiators - How Do You Do It? - Technological developments are accelerating today. Many sophisticated products have sprung up. One of them is a car company. Car companies create a variety of sophisticated cars. Starting from progress in security systems to cars that can run alone. Even so, in the midst of the crowd of sophisticated cars, quite a lot of people have unique hobbies. As unique as people whose hobbies are collecting stamps. That is collecting an old car. Old cars have their own unique value. But the name is an old car, of course the age of the engine components is old. Like caring for the elderly who are a little sick if they are active. For those of you old and antique car owners or collectors, it is very necessary to always pay attention and take care of your car. Including the components. One component is a radiator. Radiators are car components that include a cooling system. You need to know the radiator components to find out the details of the radiator. From its name, of course it functions to cool the engine temperature. Prevents the machine from reaching its maximum temperature. Make sure the radiator works properly. Starting from water, channels, covers and others. 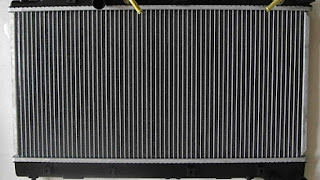 If one of the components in the radiator is damaged, repair it as much as possible. If it can't be fixed, then replace it with a new one. It does sound troublesome because it often breaks down or has to take it to the garage. But the wisdom, indirectly forced the old car owner to dissect and understand the automotive problem. In other words, caring for an old car makes us smart. But still be careful because the way to clean the radiator of a new car is slightly different from the old one. Bad radiators often make the engine overheat. Usually it will arise if you drive for a long time, for long distances and without pausing. For example, if you drive 500 km, maybe your car will experience three or four overheats. Especially when it comes to going uphill. There are several factors that the car's temperature rises when climbing. The car must stop because the heat indicator almost touches the red sign. There are several features of an overheating car and some causes of fast heat cars. So you have to pull over a few times and try not to force the car. 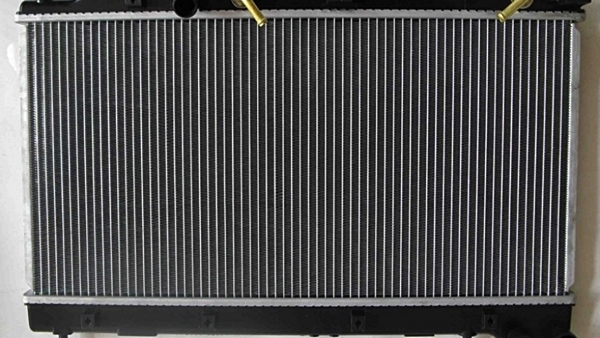 Adjusting the cooling rhythm is your first attempt to treat an old car radiator. Don't let the machine run too long when the indicator reaches the red mark. When the indicator has reached more than half, it is better to immediately find a good place to pull over. You can pull over in a stall to enjoy a meal together or in a natural area that is great for enjoying the scenery with your child and wife. If the hot engine is forced to work, then the risk is that the cylinder head is curved so the engine must go down. Sometimes the car radiator leaks and the cause of the radiator water decreases. As you know, the cost of getting the machine down is not cheap. There are several factors that cause the engine to overheat. Like there is a crust on the radiator, dead-end circulation, the radiator is leaking, the cooling fan is rather weak, the water pump is weak and the radiator cap is broken. His name is also an old car, we must carefully take care of him. The use of coolant to help the radiator is a good thing. But usually old cars are not suitable if using coolant. Because of the manufacture in his day, radiator technology was limited to using well water. Actually, it is this well water that causes the crust on the radiator because there is a metal content in the water which can lead to deadlock. To solve this deadlock problem you need to know how to clean a clogged radiator. Old car radiators are not yet designed to use coolant. But you can give it coolant in a special way and the right way. There is a special technique for using coolant on an old car radiator. Buy flush and coolant radiator fluid. For a flush radiator, the most expensive is Rp. 40,000. For coolant the price ranges from Rp. 40,000 to Rp. 60,000. Buy a spare tube if you feel it is necessary. The first step, drain the contents of the radiator by opening the radiator exhaust flow at the bottom. Then close the radiator exhaust flow and fill the water again until it's full. Turn on the engine until it reaches an optimal temperature which takes about ten minutes. Reopen the radiator drain and observe the turbidity of the radiator water. Repeat the process until the dirt runs out. More complete you need to know how to replace the car radiator water. To produce clean disposal water, it takes approximately four to five times to drain. Then fill the radiator again with water and don't forget to fill it with a flush radiator so that the rust and crust inside it will collapse. Turn on the engine again for a few minutes and wait for the effect. After that, remove the radiator water again and clean it. Then, fill the coolant into the radiator according to the limit. Your old car is now supported by coolant. Many people say they can clean radiators with floor cleaners. But this method is not recommended for old car radiators. Because the technology of old car radiators and cars is different now. Play it safe using coolant. So two radiator maintenance tips on old cars. Hopefully these two tips can add to the ability of the car's cooling system so that the car doesn't get hot often. 0 Response to "Caring for Old Car Radiators"